The Papua New Guinea government’s fact-finding mission to India has resulted in the drafting of a Papua New Guinea-India economic partnership agreement, according to the PNG minister Richard Maru. 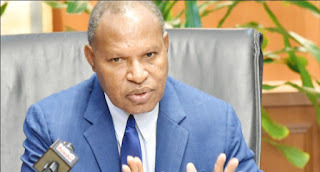 The trip to India was an effort to deepen PNG’s ties with India strategically for mutual economic benefit, said Maru, the Minister for National Planning and Monitoring, on Friday. Maru said the trip was to enhance the relationship with India from one of normal diplomatic relations to one of a stronger mutually beneficial relationship, or comprehensive economic partnership, framed similarly to the interim economic partnership agreement (iEPA) PNG has with the European Union. “We have benefited much from signing the iEPA, a common market with 28 countries with over 500 million people,” Maru said. Maru said he and India’s Minister for External Affairs, Sushma Swaraj agreed for both governments to work through a draft of the economic partnership agreement to be framed by the first quarter of 2018. Maru said Swaraj welcomed the PNG visit and promised to work with PNG to advance areas of mutual interest. He said the agreement will form a defined bilateral agreement in trade and investment, political relations and development cooperation.